The football season is approaching fast, and Texas fans are getting excited. Counting today, there are 17 days until the start of the football season. To help celebrate, we’re counting down five things every day until the start of the season. We’re traveling around the state of Texas listing the best players from the regions. And now it’s down to the coast, the Rio Grande Valley and all things South Texas. Anyone whose ever driven into the Rockport and seen Copano Bay, or crossed the Corpus Christi Bay bridge at dawn knows how awesome the Texas coast is on any given day. Anyone who has spent a weekend in South Padre and crossed over into Progresso knows how fun South Texas can be. But the region, which isn’t exactly the hotbed of high school football compared to the other parts of the state, has produced some memorable Longhorns. 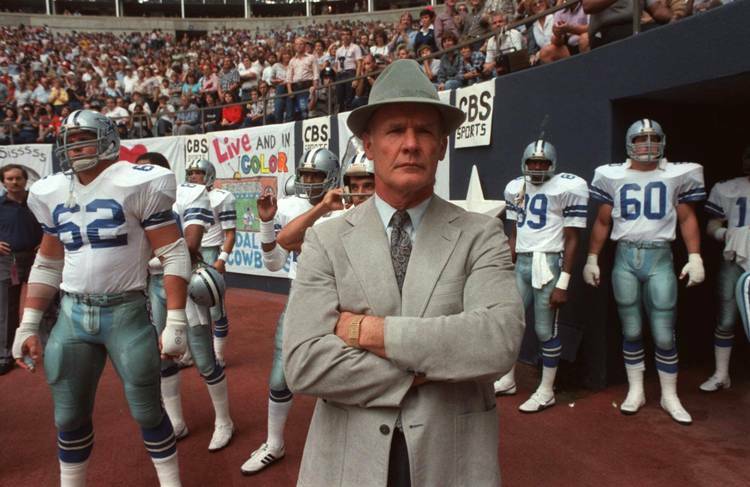 We’re only listing Landry here because the great Tom Landry has made quite a bit of these lists. He’s a hall of famer. And he was drafted in the NFL. At Mission Tom Landry was All-Region and is a member of the Texas High School Football Hall of Fame. From 1985-87, Garza was a standout for powerhouse Refugio. He was an All-American in high school who rushed for 2,954 yards and scored 56 touchdowns in one season. One season! His 336 total points he scored that season is still the 16th most nationally. He was a three-time All-State selection and was inducted into the Texas High school Football Hall of Fame in 2000. He was a four-year starter for Texas in the late 1980s and early 1990s as a cornerback and defensive back. He was the 1988 Southwest Conference Defensive Newcomer of the Year. Garza went on to be a college football coach, where he has coached at TCU, North Dakota State and currently is an assistant coach at the other “UT”, Tennessee. From 1953-1955 Lackey was a standout at Weslaco High School. He played quarterback and punter was All-State in 1955 after leading the Panthers to the state semifinals. Lackey went to Texas and played quarterback for the early few Darrell Royal coached teams. He was the quarterback for Royal’s first Southwest Conference championship team in 1959. Want to know how much football has changed? Lackey was 11-of-23 with two touchdowns and three interceptions for the season in 1959. Lackey scored six rushing touchdowns in 1959 as well. Lackey became the first Longhorn to grace the cover of Sports Illustrated on Nov. 9, 1959. Hand out photo of University of Texas ex football player Steve McMichael going after a player from UH. CREDIT: ’70s, University of Texas. Received 04/30/09 for Sports. He wasn’t yet “Mongo” McMichael, but the future Chicago Bears star was a Texas High School Football and College Football Hall of Fame inductee. McMichael lettered in: tennis, golf, baseball, track and basketball while also playing football at Freer. He was about as all-purpose as you can be on a high school football field. He caught passes, ran the ball and made 29-of-30 extra points. Of course he was also a very, very good defensive player. He was All-State on offense and defense in 1975 and was the region’s best player. At Texas he moved to defensive end and was a three-time All-Southwest Conference selection and a two-time All-American. He finished with 369 tackles and 30 sacks at Texas, leaving Austin as the all-time leader in both categories. In the NFL, McMichael became a star on the 1980s Chicago Bears teams and went to five Pro Bowls and won a Super Bowl championship. He was also a member of pro wrestling’s famed Four Horseman. Playing for his father Ray, Akins rushed for 2,140 yards and 32 touchdowns while also passing for 3,349 yards during his career at Gregory-Portland from 1969-1971. He was also a kicker and made 20 field goals. He was an All-State selection and the Class 3A Player of the Year in 1971. He led the Wildcats to the 1971 state championship game. Akins allegedly wanted to go to Notre Dame but Darrell Royal and former president Lyndon B. Johnson convinced him to come to Texas. He went to Texas and played quarterback for the Longhorns earning All-American honors and named the Southwest Conference Player of the Year in 1975. The three-year starter for the Longhorns ran the wishbone offense, which was rare that an All-American quarterback would be from a wishbone offense. He graduated holding several Longhorn records, most of which were surpassed by Vince Young, like most rushing yards by a quarterback in a game (he had 188, a record that stood until 2005). He had most starts in program history, until Pete Gardere passed him in 1992. Akins was drafted in the 11th round of the NFL Draft and suffered a knee injury early in his career. He eventually got his degree from the University of Houston. In 1987 he joined his dad in the Texas High School Football Hall of Fame. He was the Huston-Tillotson University Women’s Golf coach for two years and his own daughter Angela Akins played golf for Texas. Angela is now a commentator for the Golf Channel. Akins is the uncle of NFL quarterback Drew Brees, who was a star at Westlake High school. Akins ran for Texas Comptroller in 2002 as a Democrat, but lost the election to incumbent Carole Keeton Rylander 64.2 percent to 35.8 percent.